I have never been so impressed with storytelling from beginning to end as I was in Sasquatch. This escape game is one of the best examples of storytelling through immersion that I have seen nationwide. I felt a true sense of urgency throughout the game. 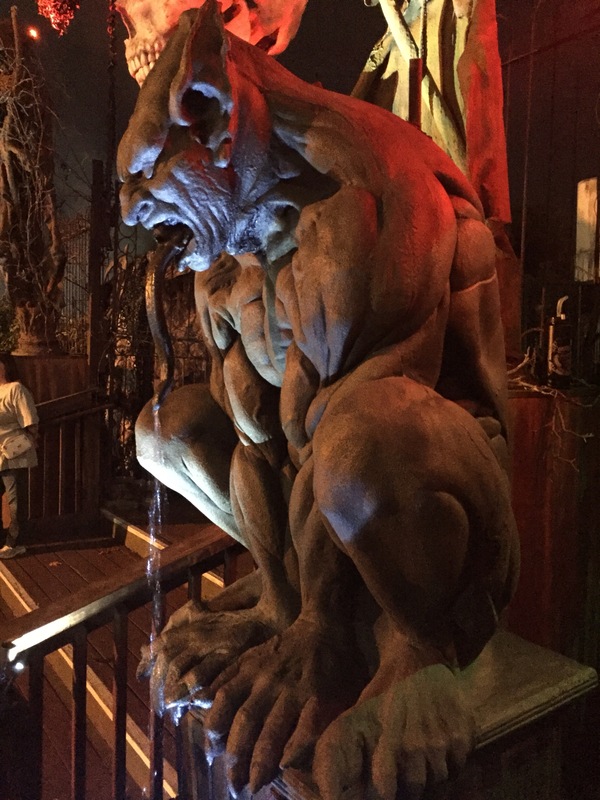 The effects through use of set design, lighting, sound and other special effects was exactly what you could expect from the company that brings you one of the most impressive haunts in the nation. The puzzles were fairly first generation, but were tied in enough throughout the story that it worked well. The payoff at the end of the game is one of the most impressive things I’ve ever seen in an escape room. Overall I was incredibly impressed with this game. I highly recommend making the trip to play it if you love immersive games. Ghost themes are always a favorite with me. 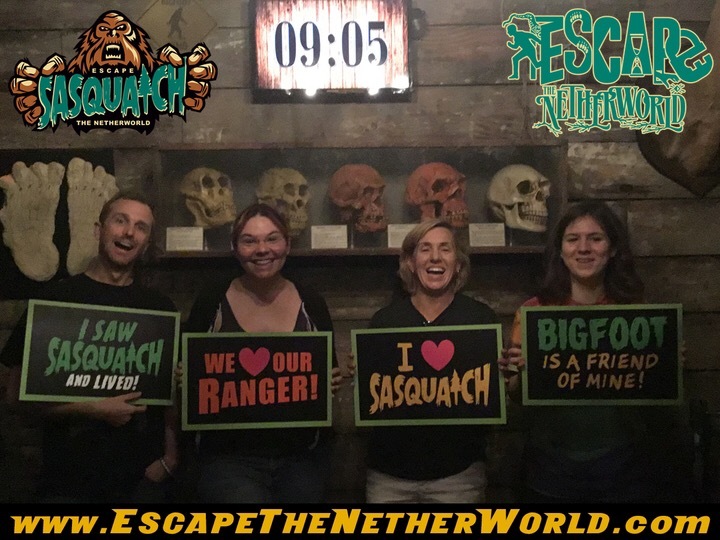 I thought the story of the captured ghost and paranormal entities was a very fun setting. The room looked great. The props and effects were unique and fun. I adored the hint system in this game. I also loved our amazing gamemaster. The puzzles in this game are designed for a large group in a way that feels a little like busy work. Several of them are tedious physical puzzles. Again they are fairly first generation puzzles, however the props are beyond what I’ve seen in most other escape games. The finale of the game is incredible IF you win. Unfortunately you will not experience it if you lose. 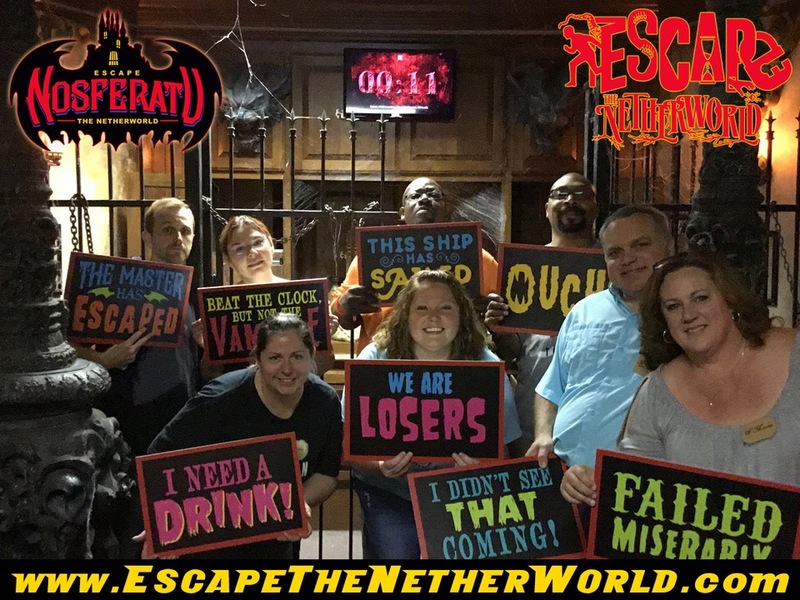 Overall this is a fun and unique escape game. Vampires are another favorite theme of mine, unfortunately I’ve yet to find a vampire themed room that really knocks my socks off. Nosferatu had a clever hint system and fun theme, but the game left a lot to be desired. I should mention that we were partnered up with a rather large group that didn’t really seem to want my husband and I to play (even though they joined our booking knowing we had already signed up). Also the gamemaster for this experience was a bit of a jerk, which also may skew my opinion of the game. We were given envelopes with information about our individual characters, a task and information to memorize. In order for a player to win the group must stab the vampire’s heart and escape PLUS each person must complete their task. It’s a lot of instructions and things to remember for something that doesn’t really add to the game in my personal opinion. It just made the game start off feeling complicated. The room itself wasn’t impressive in set design. There were A LOT of locks and keys in the game. The puzzles were tedious and uninteresting including very time consuming physical puzzles, deciphering and reading. It was definitely not my style of game, even though I was incredibly excited for the theme. My husband and I both accomplished our personal goals, but somehow a decision was made on the final puzzle that did not include us and it was incorrect. If you choose incorrectly at the final puzzle, you lose. The answer is simple if you look at all of the puzzles in the game you will clearly see it. Nothing in the game is too complicated, it’s just all time consuming and there is a lot to do. I imagine this could be a fun game for a large group of beginners, but it was certainly not my kind of game. 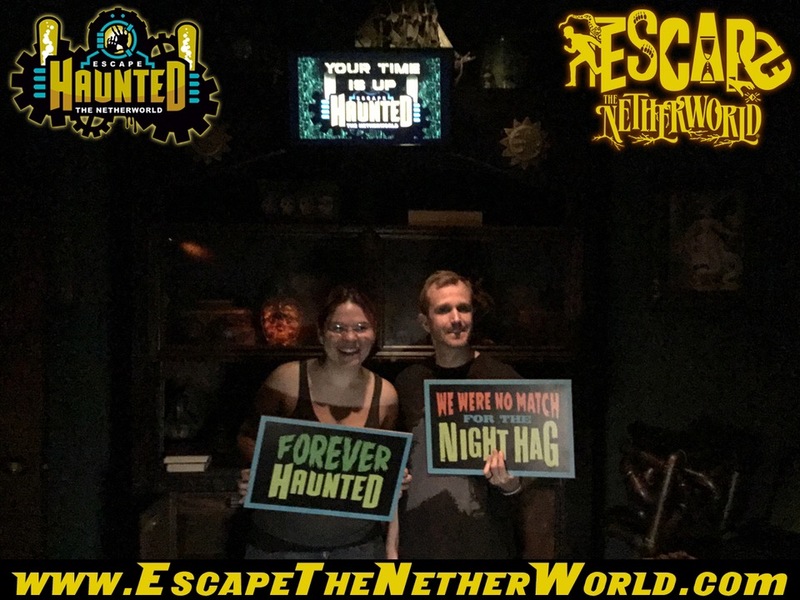 Escape the Netherworld is an incredible escape room company with impressive games. They are perfect for large groups of all levels. Experienced players should also enjoy these games whether they have a team of two or group. (I would caution players from doing all three games back to back like we did though. The puzzles started to blend into each other because the puzzle styles are quite similar in all of the games.) My main frustration is that they have created the most outstanding payoffs for winning the games and you only get three hints during gameplay. I strongly feel that the experience of winning these games is as fun as the gameplay and everyone should really be encouraged to complete it within the allotted time. Therefore I wish they allowed for unlimited hints and would try to encourage everyone to get through. I know there will still be people that do not take the hints, but at least they’d have the option. If not then maybe consider making an equally impressive losing payoff. 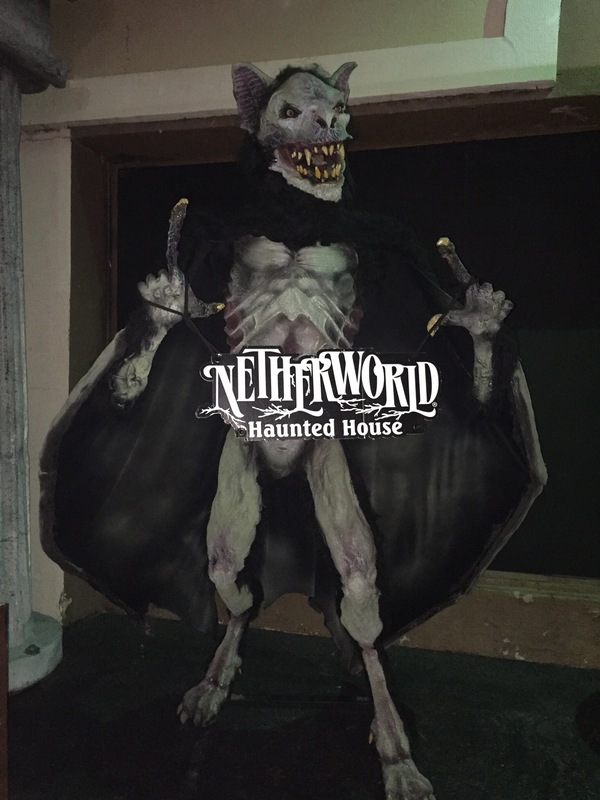 Picture if you will an episode of Hoarders taking place in the warehouse of a Halloween prop and animatronic collector and that’s a good start for imagining Netherworld. It was beyond anything I could’ve expected. 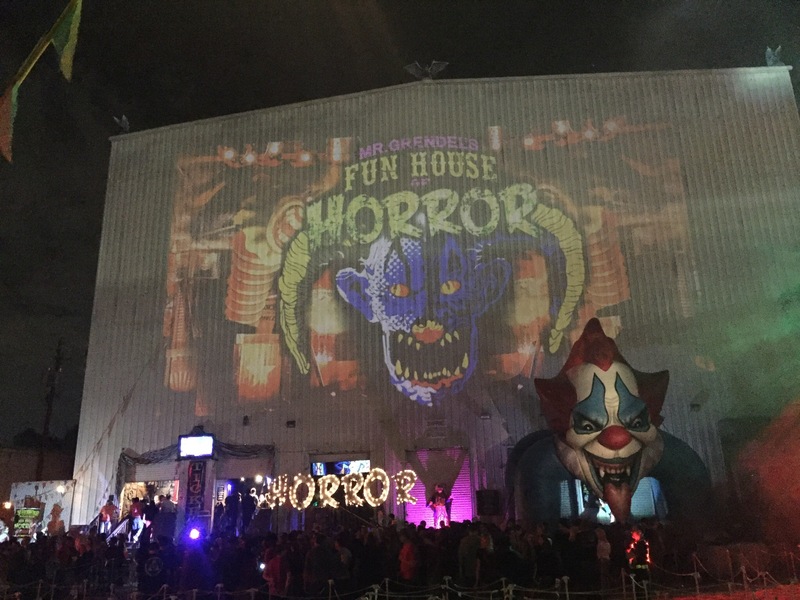 This sensory overload walk through haunt had me so stunned by the halfway point that I’m sure my eyes glazed over. I’ve never seen so much stuff in a haunt. It was incredible. I can see why it makes so many “Best Haunt” lists. It’s just incredible. The amount of stuff was so overwhelming that it would be impossible to really see everything in just one pass through. I would expect that even after the 10th or 12th time through, a guest could still find things they’d missed. There are also actors flying around and puppeteers and sound/lighting effects throughout the journey. There’s a room at the end that is full of soap suds called a Foam Room that you can choose to walk through. I did not go through it because as I walked up to the entrance a boy ran out of the entrance into me knocking the wind out of me. I decided that as long as the group of boys was horsing around in it I would pass on the experience. 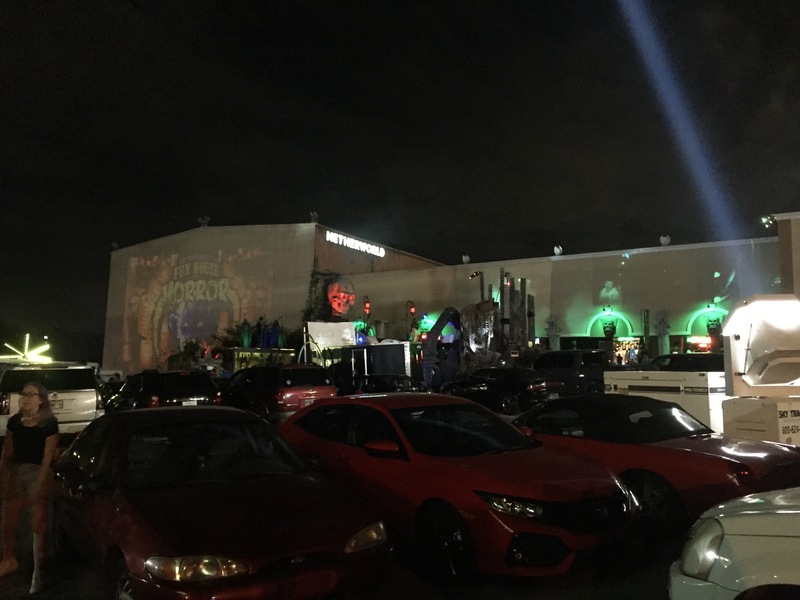 I didn’t actually find the haunt scary thematically and honestly the jump scares were a little far and few in between, but it’s still an impressive haunt worthy of a special trip. I love going to haunts and Halloween themed events all year, but I go a little crazy during haunt season (late September through early November). Here is a list of the events and haunts I am attending in 2017 in the order I attended them/by state. Follow me on Instagram & YouTube for updates and photos.